Despite the obvious differences between our modern culture and that of ancient Israel, there are some central, essentially human characteristics about us that have not changed. We have made advances in almost every imaginable field, but we still struggle with the brokenness that sin brings into our lives. We must rely as heavily as ever upon God’s promise of forgiveness, redemption, and abundant life. Were God to send us men such as these prophets today, their message would likely be strikingly similar to what the ancient world heard thousands of years ago. God’s love for us does not change, but often our own inconstancy means He has to deliver hard messages. 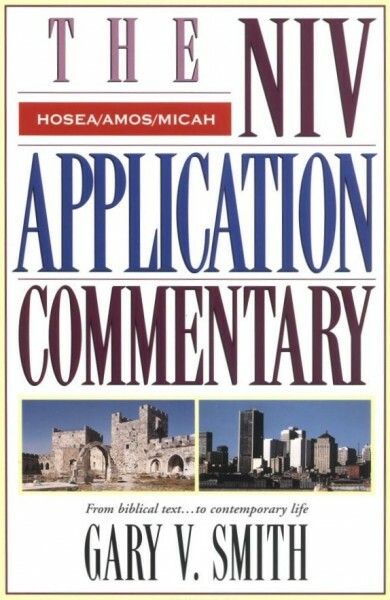 Gary V. Smith shows us in this this NIV Application Commentary volume how the original meaning of these prophetic books intersects with our everyday lives in today’s world.